One must not think that Steiner took lightly his foray into discussing healing and medicine. His conception of the principle he outlines in these lecture first came to him in 1888 and yet he waited until 1923 to reveal them publicly. [page xvii, Leviton's Foreword] Steiner told his audience that he waited because he wanted to "assimilate it thoroughly and check it against the totality of accepted modern science" before he brought anthroposophical medicine into the world. "We certainly do not intend to proceed amateurishly or unscientifically," he emphasized. "Our work is professional, and we are not repudiating modern science but simply elaborating on it." The best introduction to the subject of healing comes in Lectures 7, 8, and 9, so we will focus our review on those three lectures. The other lectures expands on some of the themes and are worth reading also. Steiner reiterates here in a measured fashion something he says in many lectures to diffuse the resistance of those steeped in the materialistic sciences who scoff at anything claiming to be spiritually based. With our present alternative medicines, such as acupuncture, people in general are more apt to accept healing approaches not solely based on materialistic medical science. [page 106, 107] Anthroposophy is not intended to be the fanatical sectarian movement it is often reputed to be. It intends to be a fully serious, scientific worldview that addresses the spiritual realm as earnestly as we now habitually apply scientific methods to the material realm. This focus on the spiritual realm may seem unscientific from the very beginning because of the common and prevalent opinion that scientific understanding results only from sensory experience and its contributions to the human intellect. Many people believe that we must renounce science as soon as our focus shifts to the spiritual realm. They say that only subjective opinions and emotional mysticism, which are matters of individual choice, can decide spiritual issues and that faith must take the place of scientific knowledge in this realm. My task in this introductory lecture will be to demonstrate that this is not the case. During the time of obtaining my degree in physics and of my early working career, I became painfully aware that my life's work was useless in everyday life. Only people I worked with were even interested in talking about my work. I felt isolated and wondered if I would ever learn anything useful to my life outside of work. That started me on a searching journey which led me to Steiner and which continues yet today. This next passage reveals what I found comforting in Steiner's work. [page 107] Admittedly, Anthroposophy does not intend to be a science in the ordinary sense of the word, because science is typically conducted in isolation from everyday life by specially trained individuals. Anthroposophy intends to be a worldview that is relevant to anyone who longs to answer questions about the purpose and meaning of human life and the workings of spiritual and material forces in our existence, and wants to apply such insights to everyday life. In college I studied chemistry and was taught to see all the processes of plant growth as stemming from physics first, going through chemical stages, and thence into the living plant itself. But none of that told me when I should plant potatoes or oak trees — it simply can't, because the actual processes of growth and flourishing of plants involve cosmic forces that physicists, chemists, and botanists are largely unaware of, or if aware, openly critical of, and therefore unable to benefit from. [page 112, 113] In addition to laws that work outward from the center of the Earth, we learn to recognize those that work in from all directions toward the center. Laws of the latter type are at work in all living beings, beginning with the plant kingdom. We know that a plant springing up out of the earth contains mineral substances. Today's chemistry has made great progress in understanding how these substances interact, and it will continue to learn more. This chemical information is all well and good, all totally justified, but if we want to explain the existence of a plant, we must explain how it grows, and growth cannot be explained in terms of forces that work upward out of the Earth. It can be explained only by forces that work into earthly existence from the periphery, from the cosmos. We are forced to acknowledge that we must advance from the earthly perspective to the cosmic perspective that includes true human self-knowledge. 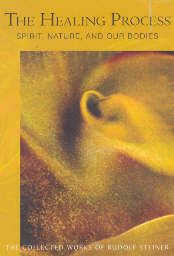 [page 115, 116] At this point we become aware of how incomplete and imperfect our modern consciousness is. At the level of modern consciousness, we speak of immortality or the afterlife as a matter of hope and faith. But immortality, our continued existence from the present point in time onward, is only half of eternity. Earlier stages of knowledge still had words for the unborn, pre-birth state that constitutes eternity's other half, but we do not. Human beings are not only immortal, however, but also "unborn"; that is, we enter physical existence by being born out of the spiritual world just as we enter spiritual existence again when we leave the physical world at death. We understand the human being as a totality only by learning that the true spiritual human being passes through birth and death. This is a fact of reality, not "a matter of hope and faith" as most religions would argue for and urge upon us. When knowledge arrives, discussion ends — as Steiner famously averred. What is death? It is a tendency which we accept as humans when we arrive on Earth — we die a little every day. Materialistic science talks only about the growing tendencies of life, being unable to perceive these tiny deaths and accept them as a balancing tendency to the burgeoning tendency of growth. [page 116] Life sprouts and burgeons, but it also constantly declines and disintegrates in us. Sprouting, burgeoning life continually makes way for decline. We undergo a partial death at every moment. There is always something falling apart in us; we simply build it up again. But wherever the material aspect falls apart, the soul-spiritual aspect has room to enter and become active in us. At this point we encounter materialism's greatest error, the idea that in humans, sprouting, burgeoning life continues to evolve into the nerves themselves and that nerves are generated out of the blood just as muscles are. This view is correct as far as it goes, but building up nerves does not develop thinking or feeling. Thinking and feeling develop when the nerves fall apart and become full of holes, figuratively speaking. At that point, the soul-spiritual aspect is drawn into the matter that is falling apart. If we are to experience the emergence of our soul-spiritual aspect, the material aspect must first be broken down. Inside of the brain are four fluid-filled cranial cavities called ventricles which represent large holes in the brain devoid of nerves. In other lectures Steiner talks of the cavities as the source of spiritual activity, the source of the thinking and feeling which suffuse the brain. Material science completely misunderstands these ventricles and calls them "limpid pools of cerebrospinal fluid which bathe the brain and cushion it from shock. (1)" But note how "from the fourth low ventricle the fluid circulates through shallows around the brain and down the spinal cord." Focusing only on the "solid" material of neurons, which convey the thoughts and feelings to us from these ventricles, these hardy scientists miss the source of our thoughts and feelings and instead claim that all thoughts and feelings arise from the physical world. Looking earnestly for the mind while ignoring the ventricles, these scientists have claimed that they find only brain and no mind, up until now. What is the answer? Steiner's concept of "De-evolution of the Species". [page 117] Science must acknowledge degeneration as well as generation and regeneration, devolution as well as evolution. When this happens, we will understand how the spiritual element takes hold of matter in animals and humans. (Human beings are conscious of this process, while animals are not.) The material element does not evolve into spirit. Rather, when matter breaks down in a reversal of its original process, spirit takes hold of it. When matter breaks down, spirit can manifest. We are filled with spirit; it is present wherever devolution — "de-evolution" — occurs instead of evolution. The ancient Greek philosopher Heraclitus famously said, "You cannot step in the same river twice." The river you stepped in the first time is long gone before you step in it again. The molecules in your body disappear and regenerate so quickly that by seven years, all of the molecules in your body have been replaced. Humans, rivers, same thing, same processes. [page 117] In any organism where generation and regeneration take place, degeneration must also be present. Degeneration and regeneration are in constant flux in any organ we look at, whether liver, lungs, or heart. Isn't it a strange figure of speech, for example, when we say "The Rhine is flowing there"? What is the Rhine? When we look at it, we usually have the flowing water in mind, not the riverbed. But the flowing water is never the same from one moment to the next, although the Rhine has been there for hundreds and thousands of years. What is the same at any given moment? The changing flow! Similarly, everything inside us is in a constant state of flux between degeneration and regeneration. Degeneration provides a vehicle for the spiritual element. In every normal human life, degeneration and regeneration are in balance, and our real soul-spiritual capacities develop in this state of balance. Whenever there is an imbalance which develops between degeneration and regeneration, there is an un-ease which shows itself, a dis-ease, an ill-ness, and a healing to undo the un-ease is one which will restore the balance of degeneration and regeneration. It may be as simple as giving someone with a kidney disease a preparation made from Equisetum arvense which contains a lot of the regenerative forces of silicon. One's general practitioner will not prescribe that, but someone who is steeped in anthroposophic medicine might. There is a place for both kinds of doctors, but anthroposophic medicine generally provides corrections to diseases before they appear in the organs of the body, so the correction is quicker and smoother and healing happens easily. [page 118, 119] I am not saying that medicine has not made tremendous progress in recent times. Anthroposophy fully acknowledges this progress and does not exclude modern medicine. On the contrary, our work validates it fully. But when we investigate recently developed remedies that are truly effective, we find that they have all been discovered only through luck and a long, slow process of experimentation. Anthroposophy provides clear insight into these lucky discoveries, which are fully confirmed by our insight into human nature. In addition, however, Anthroposophy offers a whole series of new remedies discovered by directly applying our insight into nature and the human being. A thoughtful Reader will be asking about this time, "What are the regenerative and degenerative processes?" and "How come science does not focus on the degenerative processes?" The answers come from the anthroposophic understanding of the four bodies of the human being: the physical and etheric bodies, the astral body and the "I". The physical and etheric bodies comprise the regenerative processes and the astral and I comprise the degenerative processes. How can we understand this? We all know that our body regenerates itself while we are asleep, do we not? During sleep we have only the two bodies present in bed, our physical body and our etheric body, and these are responsible for the regeneration of our body — they are the reason we wake up refreshed each morning. During sleep the astral body and the I exit the physical and etheric body, removing their degenerative effect. Our modern doctors claim that we have all the neurons we will ever have shortly after we are born, and that we will never build any more neurons(2) — only lose them due to degenerative processes during our lifetime — and this is the only degenerative process admitted by modern medicine as a natural part of life, not connected with aging or death. But they remain blithely unaware that this neuron loss is due to the actions of the astral body and I which are only present during our awake periods of life. [page 123] As a sentient being, the human being also has an astral body. (Please do not take offense at these terms; we simply need to be aware of what they represent.) In essence, the astral body transmits sensations and supports our inward, feeling nature. The astral body comprises degenerative rather than regenerative forces and constantly breaks down the burgeoning growth that takes place as a result of the etheric body, or whatever you choose to call it. Soul-spiritual activity is possible in the human organization only because the physical-etheric factor is constantly being broken down. It is quite wrong to think that the soul-spiritual aspect of the human being exists because of the regenerative process or that this process culminates in the vehicle of our soul-spiritual aspect — in the nervous system or the like. That is not the case. All indications suggest that if our profoundly admirable scientific investigations continue on their present path, they will soon discover that the essential aspect of the nerve principle is not a regenerative process. The regenerative process is present in our nervous organization only to the extent that it enables nerves to exist at all. The nerve process as such is slowly but constantly disintegrating, or breaking down; the dissolution of the physical element makes room for the soul and spirit, as it were. This is also true of the actual I-being, which elevates the human being above the level of all of the other creatures in our natural surroundings. Essentially, the I-organization is always engaged in a breakdown process. It asserts itself most strongly wherever breakdown occurs in the human being. Our state of health is like a flowing river — there must always be a balance between the amount of water flowing and the shores of the river. If the river flows too strongly, it overflows its banks affects the surrounding area. Our body requires that the flowing regenerative process be counter-balanced by the surrounding degenerative process and if either process gets too strong, our health deteriorates — a state of dis-ease or ill-ness is present. [page 123, 124] Thus, when we explore the wonderful internal structure of the human organism, we discover not only a generative and regenerative process in each individual organ, an activity that serves the organ's growth and continued development, but also a degenerative process that reverses physical development but makes it possible for the soul-spiritual element to find its place within the human being. I said last time that the specific balance between regeneration and degeneration in each human organ can become disturbed. When regeneration becomes overwhelming, diseased conditions result. Initially, I need to present these ideas on a somewhat abstract level, but they will become more concrete as we continue. When we choose this approach to what transpires inside the human being, we must proceed conscientiously and with a strong sense of scientific responsibility. If we really study each organ individually and with all the conscientiousness we have learned from our natural scientific observations, which have reached such a high degree of perfection in modern times, we will not talk of regeneration and degeneration in general terms but will be able to see the specific state of balance required in each individual organ. We will understand the specifics of health in a human being. Any disturbance in an organ's balance, in the direction of either regeneration or degeneration, is a pathological phenomenon in the human organism. 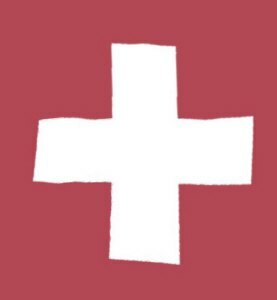 Modern medicine can be compared to emergency crews sent to sandbag the banks of a river to prevent a flood or sent to dynamite a log jam to allow the river to resume flowing freely. Anthroposophical medicine allows for diagnosis and correction to prevent an overflow or logjam, so that a potentially major disease can be undone before organ damage occurs. Sandbagging or dynamiting of the dis-eased river corresponds to giving fever medication to or performing surgery on a human patient. The first step in understanding how the regenerative and degenerative processes operate in the human being is to consider the three systems in our body: the metabolic-limb system, the rhythmic system, and the sensory-nervous system. [page 127] A clear understanding of this view of the human organism shows us that the entire I-organization is closely bound to the sensory-nervous system, while the entire human etheric body is more closely bound to the metabolic-limb system and the astral body to the rhythmic system. The physical body pervades our human organization but is constantly being overcome by its three other members. This is all very simplified, of course. The three systems are actually spread out throughout the human body and interweave each other. [page 128] It is true that the human sensory-nervous system is located primarily in the head, but it is also found in both of the other systems. The rhythmic system is indeed concentrated mainly in the torso, but it, too, is spread out over the entire human being. Similarly, the metabolic system can also be found throughout the human body. The issue here is not to distinguish between spatially separate organ systems but to recognize the qualitative aspect that is active in the individual organs and permeates them. When we study our sensory-nervous system from this perspective, we find that it extends throughout the human organism. Our nervous system to the greatest extent, the rhythmic system to a lesser extent, and the metabolic system to a still lesser extent. Sounds incredible, doesn't it? Read on. [page 128, 129] Although an organ such as the kidney contains less of the sensory-nervous system and more of the rhythmic and metabolic systems than an eye or an ear, it nonetheless contains a part of the sensory-nervous system and includes all three members of our human makeup. We do not truly understand the human body if we describe it as having senses here and digestive organs there. That is not the case; the reality of the situation is totally different. A sense organ is only primarily a sense organ; in a certain sense, it is also a digestive organ and a rhythmic organ. An organ such as the kidney or the liver is only predominantly an organ of elimination or digestion; it is also a sense organ, although to a lesser extent. When we consider our entire human organization and its individual, specialized organs from the perspective of the sensory nervous system — from the perspective of the real state of affairs, that is, and not according to the often bizarre concepts of physiology — we discover that while the outer world is perceived by means of specific organs of sight, smell, hearing, and so on, the sensory system actually pervades the human body. On a very subtle level, the kidney, for example, perceives what is going on in digestion and elimination. The liver is also a sense organ in a certain respect, while the heart is an internal sense organ to a very great extent and is only comprehensible when seen as such. Through a serendipitous synchronicity, my wife, Del, was severely ill from a strep throat during the time I was studying this passage and trying to make sense out of it. How could our various bodily organs have smell, taste, olfactory senses at any level? It didn't seem possible to me at first. But Del was unable to eat or drink anything the first five days. Under doctor's care, she had been given shots and antibiotic medicine, but any liquids she drank came up immediately. She kept herself from dehydrating by sucking on small ice cubes, and managing to drink just enough water to take her pills thanks to some anti-nausea medication. People who insist that humans are merely the highest primate should know that no animal, even higher primates, has an I and as such can only operate out of its astral body and thus its sensory activity is dramatically different to humans. [page 129] Please do not imagine that I want to criticize contemporary science in any way. I fully acknowledge all its accomplishments, and I want our view to be firmly rooted in science. We must realize, however, that modern science is not yet capable of precisely understanding the nature of the human being. If it were, it would not associate the organization of the animal body so closely with that of the human body. With regard to sensory activity, the makeup of the animal is on a lower level than that of the human being. Because the human sensory-nervous system is linked to the I-organization, while that of animals is linked only to the astral body, sensory activity is totally different in humans than it is in animals. The mechanism which enables the entire human body to be a sensory organ is the presence of silicon dioxide. Everyone has heard of carbon dioxide which powers our body through the metabolic system, carbon combining with oxygen and then being exhaled as CO2. But few have heard of the equally important SO2 (silica) which powers our sensory-nervous system. [page 131, 132] Carbon dioxide production is essential to the metabolic system, while internal production of silicon dioxide is essential to the sensory-nervous system. The latter process, however, is too subtle to detect with our instruments, although methods are available that will eventually permit its detection. Thus, respiration consists of two processes — a cruder process that combines oxygen with carbon inside the organism, forming carbon dioxide, which is exhaled, and a more subtle process that combines oxygen with silicon to form silica, which is secreted into the human body. This secretion of silica transforms the entire human organism into a sense organ, to a greater extent on its periphery and to a lessor extent in each internal organ. During Del's week long illnesses, she slept a lot and I was constantly checking on her, bring her fresh ice and water, making sure her fever had not risen, etc. As a result, I was unable to do any writing of reviews, because such writing requires extended periods of quiet reflective consciousness, and I had none of those until she began to feel better. In the meantime she spent a lot of time sleeping during which the healing forces in her body were at work. [page 146] Let's take another look at the human organism. Its growth and development are due to the physical body and the activity of the etheric body within it, while degeneration results from the activity of the astral body and I-being. If only the growing, burgeoning life of the physical and etheric body were present in us, we would never develop quiet, reflective consciousness. The more we stimulate our forces of growth, the less reflective we become, and when the I and astral body are absent from the other members during sleep, we are completely unconscious. Regenerative functions make us grow and allow our digestive forces to process the substances we ingest, but they do not produce feeling and thinking. Degeneration must occur if we are to feel and think; that is why we have an astral body and an I-being. They induce a permanent autumn in the human being. Our physical organization and etheric body induce a permanent spring in our sprouting, burgeoning life, but these members do not support reflection, consciousness, or any other soul-spiritual functions. The astral body and I-being cause degeneration, restraining the forces of the etheric body and inducing hardening and atrophy in the physical body. These are necessary processes. If this all seems obvious and trivial to you, and you are wondering what this might have to do with disease, consider for a moment all the various obstacles which might occur in your life which cause an imbalance in your alternation between sleeping and awakening periods, between regenerative growth periods and degenerative reflective periods. Too much of one means not enough of the other and the resulting imbalance brings about effects which lead to a dis-ease or ill-ness which requires a righting or return of the balance which brings health. Often that requires some artifact introduced from without (a medicine, perhaps) or a process (a diet change, perhaps) before the equilibrium of health is returned. Spring and Summer we know as a time of burgeoning growth and we naively might think of the Earth around us as being awake and alive, but that is counterfactual. In reality the Earth around us sleeps during Spring and Summer and only awakes again in the Fall and is most awake in Winter. Clearly this deep wisdom, known by the ancients, has led to our custom of starting school and college terms in the Fall and breaking midway in Spring and taking all of Summer off. Fall was always my favorite time of year. I looked forward to school and college terms, to the cooling air and breezes of Fall and enjoyed Winter. It is within a few days of Fall as I write these lines and I can feel the tempo of my own thoughts rising as the days cool off from the drowsy warmth of Summer. Like the Earth we humans must switch between periods of generation and decline, but the Earth has a longer cycle than humans, 365 times longer. To the Earth, the cycle takes a year; to humans the cycle takes 24 hours. Thus we sleep at night and are awake during day; our body regenerates while we sleep and while awake we become reflective, we think, we do, we are conscious, and our body degenerates. In Fall and Winter months, the Earth's being awake fosters our own thinking and reflection. In Spring and Summer months, the Earth somnolence pushes us to want to spend time in activities away from thinking and reflection, e.g., volleyball, swimming at the beach, or just lying around in the Sun, not having to think or reflect on anything. Modern science, medicine, and some colleges ignore the effects of the seasonal changes. In these colleges they install a quarterly system whereby students attend college year-round, and modern science pretends that chemicals extracted from plants are the same, independent of the season of the year they are extracted. [page 147] Now let's assume that we are looking for plant remedies and that we gather gentian, a good remedy for indigestion, in the spring. If we pick it in spring and prepare the remedy correctly, we can use it to influence what comes from the physical and etheric bodies. In cases of disturbed growth or nutrition, a boiled extract of gentian roots improves the forces of nutrition and counteracts the disorder. If we use gentian roots dug in the fall, however, when the entire plant is engaged in degenerative processes, the effect is not all healing but is similar to the effects of the astral body, that is, the digestive irregularities are exacerbated. In order to use plants as remedies, we must know not only their healing effects but also the proper time to harvest them. We need an overview of life cycles in nature if we want our plant remedies to be especially effective. If we seek to arrive at a rational form of therapy through insight into disease states, we must consider plant life cycles in formulating remedies. We need to know that plants collected in fall have different effects from plants collected in spring. Smaller differences in timing can also have consequences. When we produce remedies, we must learn the difference between harvesting gentian in the first week of May and picking it in the last week. What takes place in a human being in the course of twenty-four hours is spread out over 365 days in the natural world outside us. To cover a span of twenty-four hours in the human being, we need everything that develops in the natural world over the course of a full year. Have you known someone whose strong I and temperament (astral body) caused friction with you and led to long term disagreements? A strong I and astral body which invades the metabolic-limb system is one end of the spectrum and tends to result in cancerous tumors. [page 148, 149] Let's take an example I have already mentioned in these lectures. All four members of the human constitution — the physical body, the etheric body, the astral body, and the I — pervade both the sensory-nervous system and the metabolic-limb system, but in different ways. In the metabolic-limb system, the effect of the I-being is much stronger with regard to the will. All activity, anything that brings the entire human organism into movement, is based in the metabolic-limb system, while everything that does not require movement but fills us with inner experiences, with mental images, thoughts, and emotions, is based in the sensory-nervous system. A significant difference is evident here. In the sensory-nervous system, the physical and etheric bodies are much more important than the I and the astral body, while in the metabolic-limb system, the I and the astral body are especially important. Thus, if the I and astral body work too strongly in the sensory-nervous system, the sensory-nervous system is forced into the other systems of the body. Over-enhancement of the I and astral body in the sensory-nervous system can push this entire system into the metabolic-limb system along many possible paths, but the consequence is always the development of a tumor. We begin to understand tumor development when we see how exaggerated astral or I activity impels the sensory-nervous system into the rest of the organism. On the other hand, suppose you know someone who constantly suffers from hay fever. This is a person whose I and astral body has withdrawn from the metabolic-limb system and the result is inflammations of various kinds — that is the other side of the spectrum. Tumors and inflammations are the polar opposites of the imbalance of the I and astral body with respect to the metabolic-limb system. Too much involvement leads to tumor growth; too little leads to inflammation. [page 149] Now let's assume that the opposite occurs: the I and astral body withdraw from the metabolic-limb system. As a result, the physical and etheric members become too strong and radiate into the sensory-nervous system, flooding it with processes that should actually be restricted to the metabolic-limb system, and inflammation develops. In this way we clearly see how tumors and inflammations develop as polar opposites. When we know how to push back the sensory-nervous system when it begins to work in the metabolic-limb system, we discover forces that may lead to healing. [page 152] The natural forces in the plants we eat in order to promote our own growth are similar to the forces of our physical and etheric bodies. We learn to distinguish these forces from toxic or degenerative processes in the natural world, which are similar to our astral body and I. We view the polarity between nutritive and toxic substances very differently once we have gained insight into the four members of the human constitution-physical body, etheric body, astral body, and I. This insight simultaneously stimulates insight into the healing and nutritive forces that are distributed throughout nature. Once we have achieved such insight, the study of disease becomes a continuation of the study of nature. Spiritual insight into both health and illness enriches our entire view of nature. To become sick is a very human thing to do. We do not arrive on Earth in this body knowing exactly how to balance the various systems of our body. We learn by making mistakes and getting ill in the process. We must learn to overcome the regenerative forces of our body and learn to temper the degenerative forces as well. In the process we become wise. In the life of Buddha, he had to leave the protective walls of his father's palace to experience the degenerative forces of life and to gain wisdom. In our lives this happens whenever we get sick, and each time we gain wisdom from the process. We only become true anthropos, or full human beings, through the processes which happen in us when we are sick. The opposite of wisdom is folly and Steiner rightly says that we would remain fools but for the possibility of illness. [page 153] If the forces building up the human organism could not be repelled, if the germinating, proliferating forces of growth were not constantly subdued, we would never be able to exist as beings of spirit and soul. We need the phenomena that lead from normalcy to illness and regressive developments. Specific aspects of these same phenomena transform us into spiritual, thinking beings. If we could not become ill, we could also not become spiritual beings. The possibility of illness makes us spiritual beings. The same phenomena that are necessary for our thinking, feeling, and willing appear in abnormal forms in illness. In illness, our liver and our kidneys are forced to undergo the same processes that appear in thinking, feeling, and willing. These activities simply overshoot the mark and appear in excess. If we could not become ill, we would remain fools for our entire lifetime. The possibility of illness is due to the possibility of becoming human beings who think, feel, and will. Perhaps by this point in this review, I have given you a glimpse of the answer to Steiner's question with which he led off the lectures in this book, "What can the art of healing gain from a spiritual-scientific perspective?" What indeed can modern medicine learn from an anthroposophical approach to medicine and healing? A lot. Del has a book which is well-worn from consultation over the past three decades. Written by a true modern day healer, Louise Hay, the book's title says clearly what it contains within, "How to Heal Your Life." In it is a list of possible health problems with suggested affirmations for each problem. Invariably the affirmations pinpoint some imbalance which the person can correct as part of the healing process. When healing spreads darkness, it is well to have a friend nearby who can shed light and Louise Hay is one of those friends. 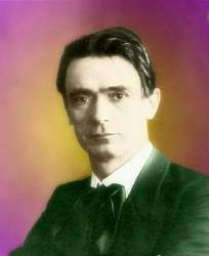 The other friend is Rudolf Steiner with his work in anthroposophical medicine whose work is embodied in part by the Weleda Corporation which manufactures the various preparations developed over the years from the clinics founded by him and Dr. Ita Wegman. There is a lot more in the other 8 lectures of this book, but Lectures 7, 8, and 9 — which I cover in this review — give the best overview of the process of healing, beginning with the four basic human bodies and explaining how the various systems of the bodies interweave each other and the imbalances which lead to illness and disease and how to correct them. Footnote 1. The quoted material comes from page 27 of "The Brain — Mystery of Matter and Mind" by Tortar Books, 1984. Footnote 2. New research has shown evidence of some rebuilding of neurons, e. g., pregnant women can a new set of taste bud neurons on their tongue. This accounts for their weird food cravings during pregnancy. Footnote 3. This illness began in earnest at the beginning of the long Labor Day holiday weekend, and we appreciate the friends we called on for medical advice and who helped us to make sure an emergency room trip was unnecessary. Footnote 4. I worked in the Union Carbide Chemical Complex in Taft Louisiana from 1966 to 1969 on the computer control systems. Footnote 5. Wired Magazine on page 034 of its October 2011 issue reports that Monell Chemical Senses Center finds taste sensors in our digestive system, saying among other things, “And another surprise find — even your pancreas has taste cells that send a final message to your brain: ‘Yum!’” If it can send a Yum!, it can also send a Yuck! if it’s not ready for sweetness. Click to Read Link, if underlined as shown in brackets at right: [active].